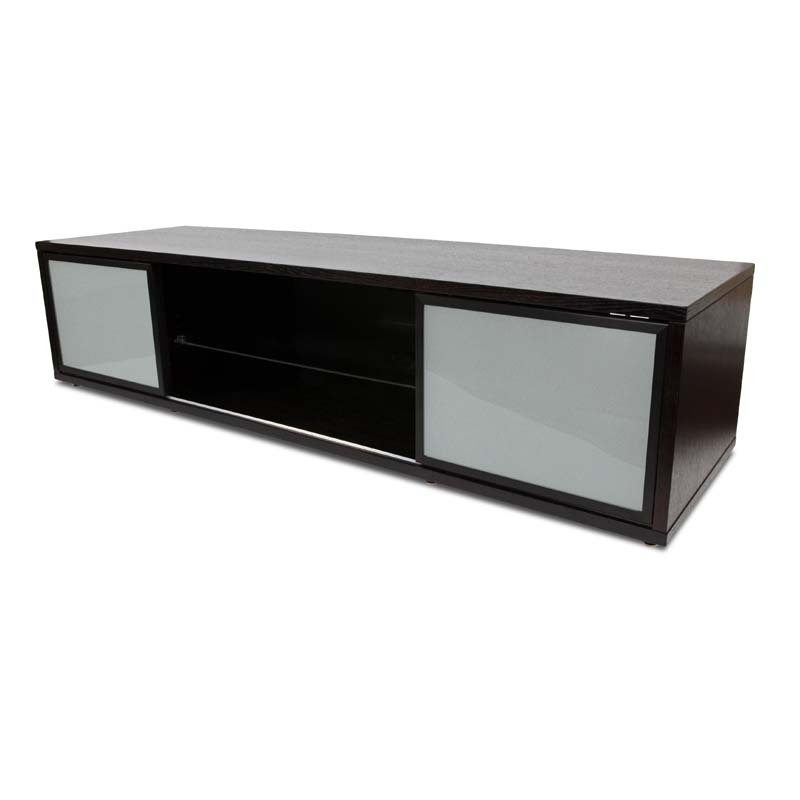 More on the Plateau Retro TV Stand for 60-75 in. TVs (Espresso Black Frame) SR-V 75 (EB)-B below. 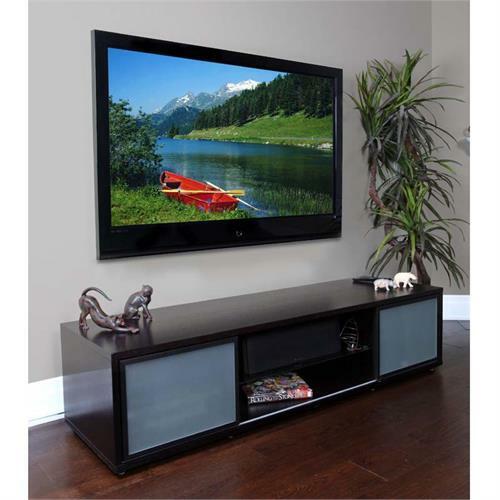 Constructed with Oak Wood Veneer laminated on MDF (Medium Density Fiberboard) and high grade smooth edged safety glass. This product is also available in walnut or black finish. See "Related Products," below, for additional information. Top / Bottom weight capacity: 300 lbs. 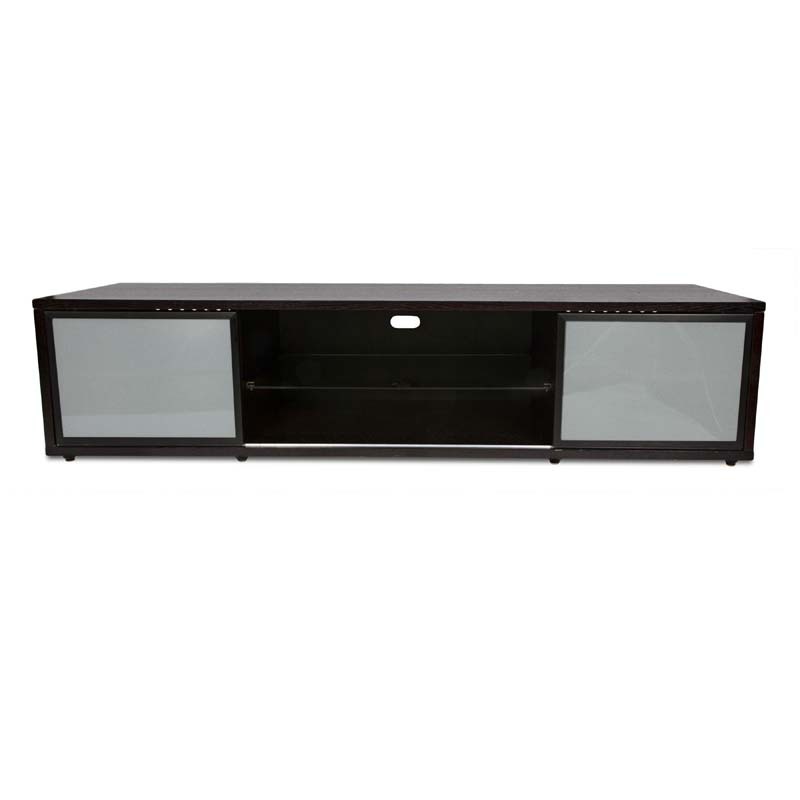 Wood and Glass Shelves weight capacity: 70 lbs.